Pistol holster Glock 17 with additional, mechanical security system. Used for dynamic actions or in large crowd. Additional security system prevents loosing or seizure of the weapon. 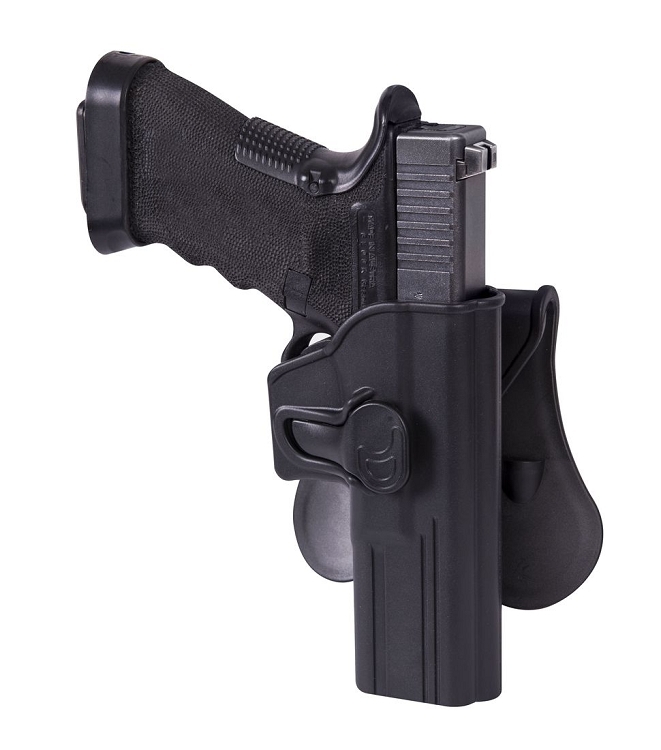 The holster features comfortable paddle for mounting and stabilizing the holster on users body.